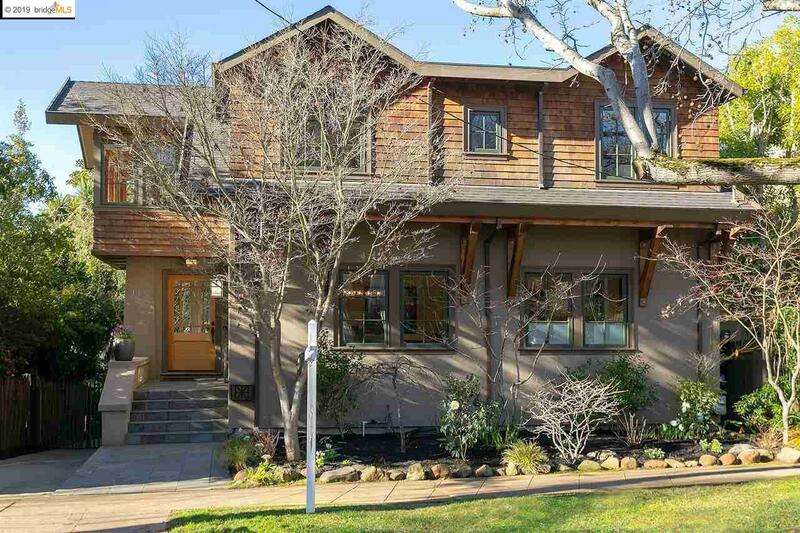 On a serene tree-lined street near the center of town is this totally renovated contemporary craftsman. Just a few blocks to top-rated Piedmont schools and your morning coffee at Mulberry's Market, this location can't be beat. Bright and spacious formal rooms, custom built-ins, expansive level yard and a variety of spaces for your every pursuit. Grand living room with coved ceiling and sliding French doors to a private deck. Host elegant dinner parties in the dramatic dining room that can seat 12 with ease. The eat-in kitchen is equipped with stainless appliances including a 6-burner professional gas range for the cooking enthusiast. 4 BDs with cathedral ceilings and laundry facilities upstairs including the large master suite. Finished lower level with recessed lighting and tons of storage space. Attached garage with epoxy floor, workbench & storage cabinets. Beautiful level grounds with lawn for play, swinging bench for stargazing, private patio and rose garden.